The characteristic elements of the Black Bay Bronze have been drawn from TUDOR’s history. 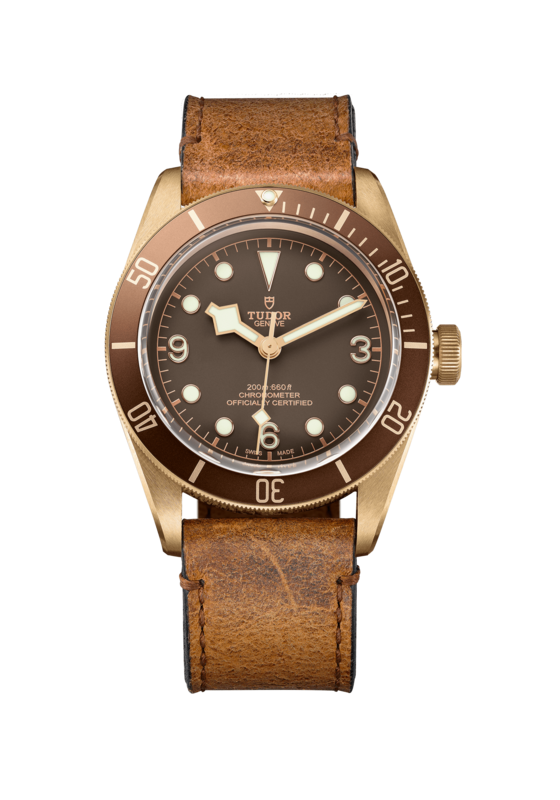 It features a bronze case with a satin finish. It has a unidirectional bronze bezel, disc in matt brown anodised aluminium. The winding crown is particularly prominent as it resembles the famous 7924 reference of 1958, aka the Big Crown. The drilled holes on the side of the lugs and their particularly pronounced chamfering are also key design features inspired by history.